By Liz Hessen on February 16, 2013 Visit Liz's Website. We took on our flock of backyard chickens for humane reasons. We knew ours would be well cared for and in return give us healthy eggs. Because all the researching, reading, asking, talking and looking, starts way before you get chicks (or should) it has been about a year since our chicken adventure started. Two of our backyard beauties. Chickens are not a trend or a fad, not something to drag all your friends to the backyard to see. They’re CHICKENS! They need the care and consideration meant for chickens. But they don’t take anymore time and effort than cats or dogs. But they are worth it, boy are they worth it! I could write pages and pages of what we’ve learned but there are already mountains of information out there. What has worked out for us in the terms of flock management might not necessarily work for others. What I can do based on our experiences is debunk some of those misbeliefs about chickens that so many people seem to have. Chickens Do Not Smell – Thousands of chickens on a commercial farm probably DO smell. But ours don’t. We keep them and their coop/run area clean and healthy. We use the deep litter method in the winter. The natural biological breakdown of organic material does the work for us. A few turns of the bedding weekly and that’s it. In the summer you use much less bedding and the sun and heat help breakdown materials. The coop area will need to be cleaned as need during the summer. 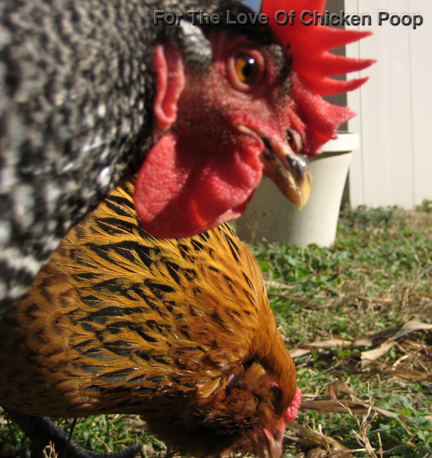 Chickens are amazing little composters! Chickens Are Not Dirty – Chickens are very clean animals. They love their dust baths, and don’t be thrown off by the word dust. There are humans who go to expensive spas just to sit in a tub of mud! Rolling in the dust helps with their preening and cleaning. The dust gets into and between the feathers and absorbs oils and other dirt. When they’re done, they shake-off like a dog and they’re clean, happy chickens. They really love their spa time. Chickens Are Not Loud – A rooster tends to get loud on a regular basis. Their job, besides being the wake-up call, is to guard the flock and send a alarm if they sense danger. Their alarm system is very loud and long. Most city ordinances don’t allow roosters for this reason (several of the our neighbors have said they would love it if we could sneak in rooster). If our hens get loud there is a reason and we go find out. 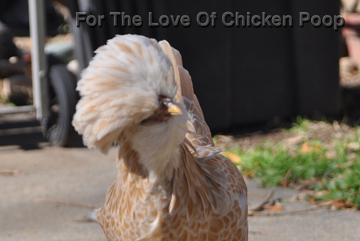 A hen may squawk extra loud after laying an egg – well she’s proud! In comparison to other pets a dog’s bark will far exceed a hen’s clucking in volume. 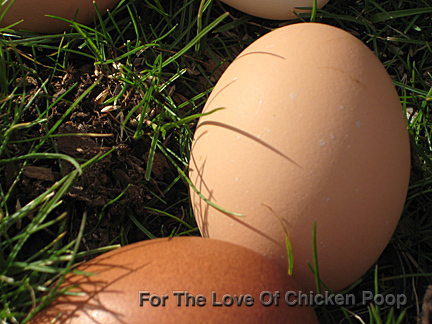 Chickens Are Not Unhealthy/Unsanitary – We got our chicks from a very reputable hatchery. Ours have never been sick. Although there is documented information on communicable diseases they could carry these diseases are more likely to be picked up and harbored in confined commercial animal feeding operations and NOT healthy backyard settings. Chickens are just like any other animal including dogs, cats and others when it comes to disease. They are no more likely to carry disease than a dog. If they are well-cared for, fed, watered and kept in a clean environment, then they are more likely to stay healthy! 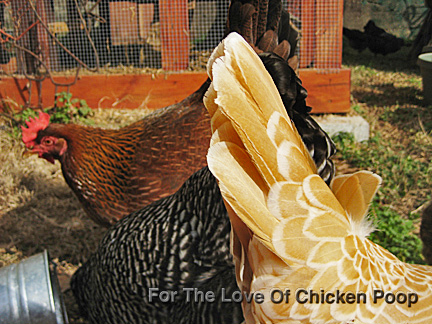 Chickens Devalue A Neighborhood – Our neighbors love our chickens. Most of them say they only know we have chickens because I write about them. As with any pet, it’s a matter of responsible pet ownership. There are others in our neighborhood who have chickens but driving down our street you would never guess. Chickens Do Not Attract Pests – We keep the chickens’ feed and our dogs’ and cat’s food all properly stored, so that it does not attract pests. When they’re not foraging they get fed inside the run. No self-respecting chicken would dare leave a speck of food behind. Pests and rodents are just as likely to be attracted to a wild bird feeder and its seed. Any food treats we give the chickens are gone in a blink! Chickens love to eat insects of all kinds: worms, beetles, grasshoppers, mosquitoes and their larvae, fly larvae, ticks and every size and type of roach on earth! 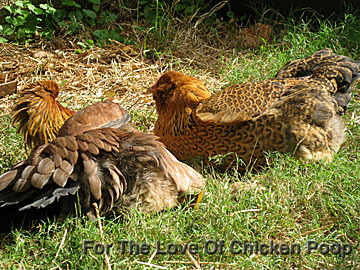 Chickens are one of the best methods of insect control. I have seen my chickens eat hundreds of worms and slugs in a matter of minutes. And spiders…I watched our polish crested eat a huge wolf spider – I don’t have anything against spiders- this was just startling to watch. I have not witnessed this but chickens have even been known to eat small mice. Carmen Miranda Does NOT like windy days! Our chickens are great. They are big fluff balls of personality. We love them and are fortunate that we can have and care for them. Living situations differ for everyone, but there are many variations of flock management that will meet your needs. …and give us glorious eggs! If you are just at the thinking-about-raising-chickens point, do your research, read, ask, talk, look! Then decide for yourself. Love this…there are a lot of myths about chickens and it is sad that people believe most of them. I can’t stress enough that you are totally correct that A LOT of research should be done before buying chickens or chicks. You will still feel “in the dark” for a while. I liken it to having your first child…you can read all the books you want but when you go home with your first baby you feel like a fish out of water. It is also a tremendous help if you have a community of people willing and able to help. I have never met a more friendly group of people willing to answer any and all questions even if it is to say “I don’t know, but let’s find out from someone who does”. Anther thing I would stress, which I believe you touched on, is that there are so many different ways to do things. Not everyone’s experience will be the same…not every chicken is going to do everything someone else chickens will do or eat what other chickens will eat. For instance we have lots of ant hills, being in Florida, and we have a hard time getting our girls interested in eating them. LOL I was bummed! I was hoping the would devour them…but every once in a while one of them will. So thank you for writing this is all I meant to say…guess I got carried away. Thanks for the post. 🙂 Can you tell me the breeds of the 3 chickens pictured in the 2nd last photo (for the love of chicken poop) I especially like the front one with lighter feathers. Is that Carmen Miranda? Ours have even cleared out the fire ants! My husband goes out and knocks the top off the ant hill and chickens go to town. Only have a few hills left to go. When we got the girls the yard had tons of hills. RIGHT ON! Best de-buggers around. I’ve seen mine eat small toads! Told the girls, leave the toads alone, they are good for the environment!